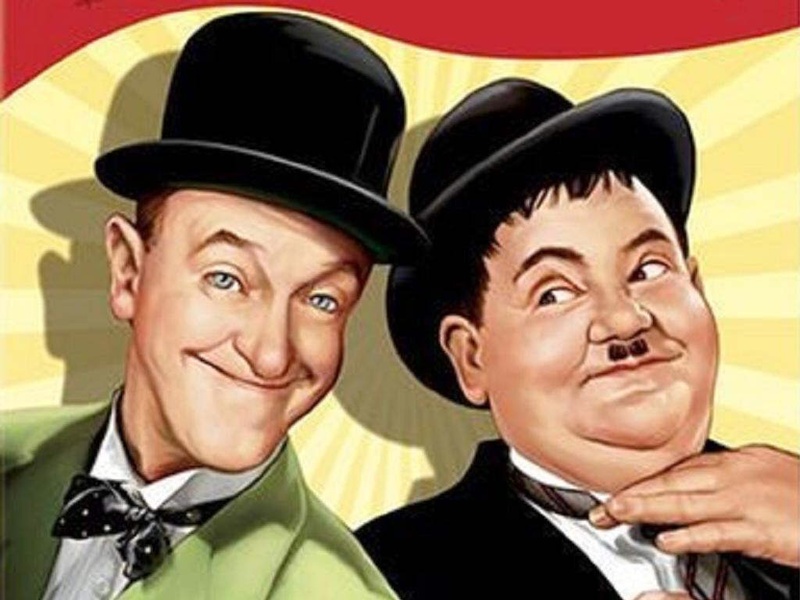 English comic actor, writer and film director Stan Laurel was born 16 June 1890 he is most famous for his role in the comedy duo Laurel and Hardy alongside his comedy partner Oliver Hardy with whom he appeared in 107 short films, feature films and cameo roles. Laurel began his career in the British music hall, from where he took a number of his standard comic devices: the bowler hat, the deep comic gravity, and the nonsensical understatement. His performances polished his skills at pantomime and music hall sketches. Laurel was a member of “Fred Karno’s Army,” where he was Charlie Chaplin’s understudy.The two arrived in the US on the same ship from Britain with the Karno troupe. Laurel went into films in the US, with his acting career stretching between 1917 and 1951, and from “silents” to “talkies.” It included a starring role in the film The Music Box (1932). Davy published Outline of a New Plan of Telegraphic Communication in 1836 and carried out telegraphic experiments the following year. He demonstrated the operation of the telegraph over a mile of wire in Regent’s Park.In 1837 he demonstrated a working model of the telegraph in Exeter Hall. He was granted a patent for his telegraph in 1838. However, he was soon obliged to drop his investigations of telegraphy for personal reasons. His patent was purchased by the Electric Telegraph Company in 1847 for £600. Davey also invented an electric relay. He used a magnetic needle which dipped into a mercury contact when an electric current passed through the surrounding coil. Bloomsday takes place annually on 16 June to commemorate and celebrate of the life of Irish writer James Joyce, The date was chosen as it is the date during which the events of his novel Ulysses (which is set on 16 June 1904) are relived. It is observed annually on 16 June in Dublin and elsewhere. Joyce also chose the date as it was the date of his first outing with his wife-to-be, Nora Barnacle. The name is derived from Leopold Bloom, the protagonist of Ulysses The English compound word Bloomsday is usually used in Irish as well, though some publications call it Lá Bloom. On the 50th anniversary of the events in the novel, John Ryan (artist, critic, publican and founder of Envoy magazine) and the novelist Brian O’Nolan organised a pilgrimage along the Ulysses route. They were joined by Patrick Kavanagh, Anthony Cronin, Tom Joyce (a dentist who, as Joyce’s cousin, represented the family interest) and AJ Leventhal (a lecturer in French at Trinity College, Dublin). Ryan had engaged two horse-drawn cabs, of the old-fashioned kind, in which in Ulysses Mr. Bloom and his friends drive to Paddy Dignam’s funeral. The party were assigned roles from the novel. Cronin stood in for Stephen Dedalus, O’Nolan for his father Simon Dedalus, John Ryan for the journalist Martin Cunningham, and A.J. Leventhal, being Jewish, was recruited to fill (unknown to himself according to John Ryan) the role of Leopold Bloom. They planned to travel round the city through the day, starting at the Martello tower at Sandycove (where the novel begins), visiting in turn the scenes of the novel, ending at night in what had once been the brothel quarter of the city, the area which Joyce had called Nighttown. The pilgrimage was abandoned halfway through, when the weary pilgrims succumbed to inebriation and rancour at the Bailey pub in the city centre, which Ryan then owned, and at which in 1967 he installed the door to No. 7 Eccles Street (Leopold Bloom’s front door), having rescued it from demolition. A Bloomsday record of 1954, informally filmed by John Ryan, follows this pilgrimage. James Joyce was born in Dublin and here The day involves a range of cultural activities, including Ulysses readings and dramatisations, pub crawls and other events, some of it hosted by the James Joyce Centre in North Great George’s Street. Enthusiasts often dress in Edwardian costume to celebrate Bloomsday, and retrace Bloom’s route around Dublin via landmarks such as Davy Byrne’s pub. Hard-core devotees have even been known to hold marathon readings of the entire novel, some lasting up to 36 hours. The James Joyce Tower and Museum at Sandycove, site of the opening chapter of Ulysses, hosts many free activities around Bloomsday including theatrical performances, musical events, tours of the iconic tower and readings from Joyce’s masterpiece. Every year hundreds of Dubliners often dress as characters from the book. On Bloomsday 1982, the centenary year of Joyce’s birth, Irish state broadcaster RTÉ transmitted a continuous 30-hour dramatic performance of the entire text of Ulysses on radio. A five-month-long festival, ReJoyce Dublin 2004, took place in Dublin in 2004. On the Sunday before the 100th “anniversary” of the fictional events described in the book, 10,000 people in Dublin were treated to a free, open-air, full Irish breakfast on O’Connell Street consisting of sausages, rashers, toast, beans, and black and white puddings. The 2006 Bloomsday festivities were cancelled, the day coinciding with the funeral of Charles Haughey. There are also many people of Irish descent in the United States and Bloomsbury is celebrated in many places including Washington, D.C. Where a marathon dramatic reading of Ulysses was held at The Georgetown Neighborhood Library, located at 3260 R Street, NW, in Washington, D.C.In which Twenty-five writers, actors, and scholars read Ulysses aloud in its entirety, a project which took more than 33 hours. The reading concluded with opera singer Laura Baxter performing Molly Bloom’s soliloquy in its entirety. In Philadelphia The Rosenbach Museum & Library, which is home to Joyce’s handwritten manuscript of Ulysses, celebrated Bloomsday in 1992, with readings by actors and scholars at the Border’s Bookstore in Center City. Philadelphia also closed the 2000-block of Delancey Street for a Bloomsday street festival. In addition to dozens of readers, often including Philadelphia’s mayor, singers from the Academy of Vocal Arts perform songs that are integral to the novel’s plot, Traditional Irish cuisine is also provided by local Irish-themed pubs. The Rosenbach’s Bloomsday festival featured two hours of readings at the main branch of the Free Library of Philadelphia, an hour of readings at Rittenhouse Square, and concluded with five hours of readings on the steps of the museum, at 2008–10 Delancey Street. New York City has several events on Bloomsday including formal readings at Symphony Space and informal readings and music at the downtown Ulysses’ Folk House pub The Irish American Bar Association of New York celebrates Joyce’s contribution to the First Amendment, with an annual keynote speech named after John Quinn, the Irish-American lawyer who defended Joyce’s New York publishers in their obscenity trial in 1922. In 2014, New York celebrated Bloomsday with “Bloomsday on Broadway,” which includes famous actors reading excerpts of the books, and commentators explaining the work between segments. The 2016 celebration includes a competition for the Best Dressed Molly and Leopold Bloom. In Kansas City, Missouri – the Irish Center of Kansas City currently hosts the Bloomsday celebration, started at Bloomsday Books, KCMO in 1995 and hosts readers of Ulysses, screens a documentary, alongside Irish dancers and a performance by Dublin balladeer Eddie Delahunt. In Syracuse, New York – The Syracuse James Joyce Club holds an annual Bloomsday celebration at Johnston’s BallyBay Pub, at which large portions of the book are either read aloud, or presented as dramatisations by costumed performers. The club awards scholarships and other prizes to students who have written essays on Joyce or fiction pertaining to his work. The city is home to Syracuse University, whose press has published or reprinted several volumes of Joyce studies. In Detroit, Michigan There was a marathon reading of Joyce’s Ulysses at Casey’s Pub. In Los Angeles The Hammer Museum hosts an annual Bloomsday celebration including: live Irish music, a Guinness happy hour, a public reading of the “Lestrygonians” episode, and a dramatic reading of “Sirens”. While in Cleveland, OhioThe Nighttown Restaurant/Jazz Club holds an annual read of the novel on Bloomsday which is performed by local enthusiasts. In Wichita, Kansas Bloomsday is honoured by a presentation on James Joyce (often by Dr. Marguerite Regan) as well as readings from Ulysses and Irish folk music. In Norfolk, Virginia The Irish American Society of Tidewater, Virginia, held a Bloomsday Happy Hour at Smartmouth Brewery Featuring Live Irish music provided by the band Glasgow Kiss, and IAS members attended dressed as James Joyce with fedoras, round glasses, eye patches, etc.). In Portland, Maine Readings from Ulysses take place at the Irish Heritage Center. While in Worcester, Massachusetts – long running annual celebration with readings from Ulysses at 7 sites around the city. Organized annually by the Worcester County Poetry Association. International Surfing Day is an unofficial, worldwide, environmentally conscious sports-centered holiday held annually on or near the date of the summer solstice—usually June 21 (20 June on leap years). The purpose of International Surfing Day is to celebrate of the sport of surfing, the surfing lifestyle and the sustainability of ocean resourceS. International Surfing Day was established in 2004 by Surfing Magazine and The Surfrider Foundation International Surfing Day closely follows the spirit and intent of the World Surf Day established by the Usenet newsgroup alt.surfing in 1993 and The day is observed with surf contests,barbecues, film screening and other surf-Related events. Contests and prizes are also part of the celebration with surfing related industries donating prizes such as surfboards and wetsuits. Another purpose of the celebration is to promote the popularity of surfing and to attract new participants. Surfers also use the day to give back to the environment by organizing beach clean-ups, dune and other habitat restoration and other activities such as lobbying to maintain the recreation areas in California where surfing occurs, or Naupakaplanting in Hawaii. Direct action was also used by form of protest on this day in England to express opposition to sewage in the waters of the Gold Coast; a precarious problem for many surfers who become infected by the bacteria from open wounds from sports related injuries. Many other International Surfing Day events have also been held In South America where it is celebrated in Argentina, Brazil,and Peru. Also in the Southern Hemisphere the holiday is observed in the Oceanian nations of Australia and New Zealand. The day is also widely observed in the American state of Hawaii, also in Oceania. In North America the surfing day is most widely observed and celebrations may be found in Canada, Costa Rica, the French Antilles, El Salvador, Mexico,and in the majority of coastal states of the United States, Connecticut, New York, North Carolina, Virginia, Maryland, District of Columbia, Maine Texas, New Jersey, California, Oregon, South Carolina, Florida,and Georgia.